Mariposas There are a number of places in California named “mariposa”. There is the town of Mariposa in Mariposa County, California. There is the famous Mariposa Grove of sequoias in Yosemite National Park, and the Mariposa Bakery in Oakland. Not to mention any number of streets around the state and country named mariposa. Why “mariposa”? Mariposa is the Spanish word for “butterfly”, and the sight of butterflies made a big impression on the first European visitors to California. 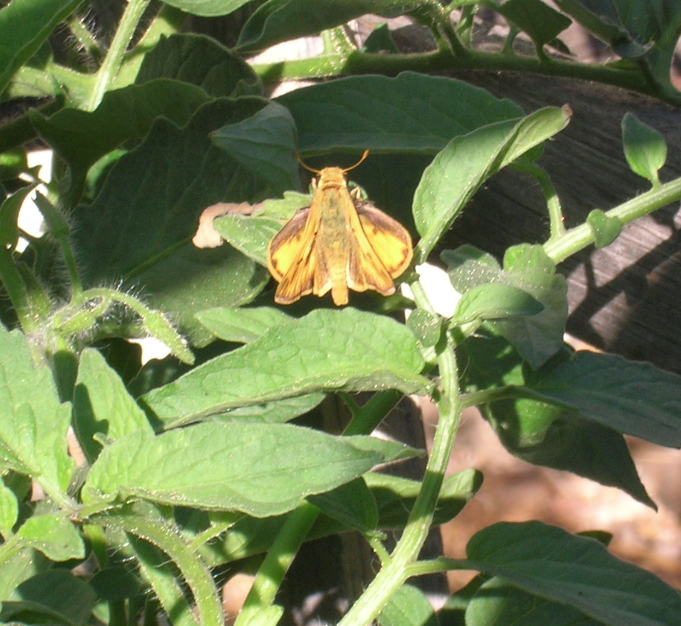 Padre Pedro Muñoz recorded in his diary that he had observed thousands of tortoise-shell butterflies (Nymphalis californica) possibly at what is now Mariposa Creek. M. Kat Anderson quotes the Native American elder, Pauline Conner, reminiscing about the time when the wild- flowers were so abundant that “butterflies would come in clouds and you could reach out and touch them. 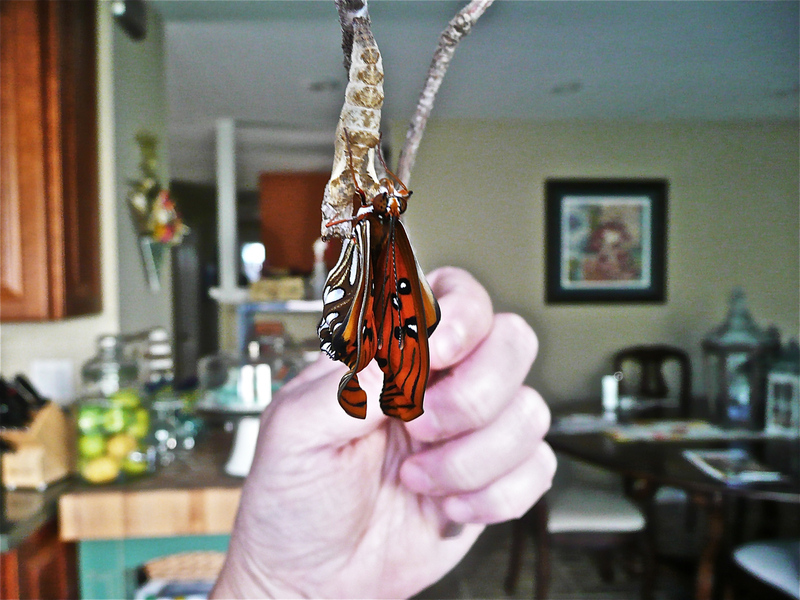 Sometimes they would land on you.” These included the buckeyes, anise swallowtails and orange sulfurs. 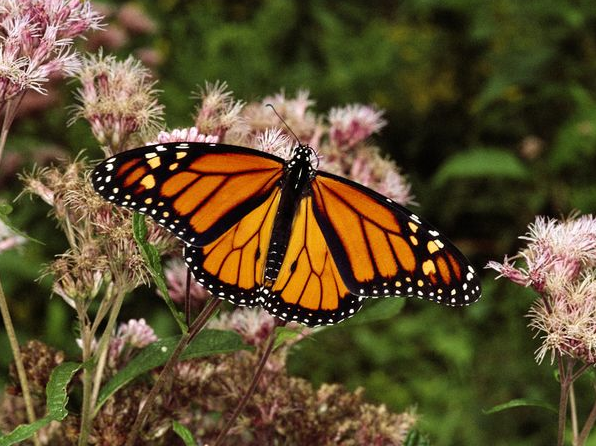 Numerous concerns have been raised about the extensive decline in the numbers of monarch butterflies in the last several years. 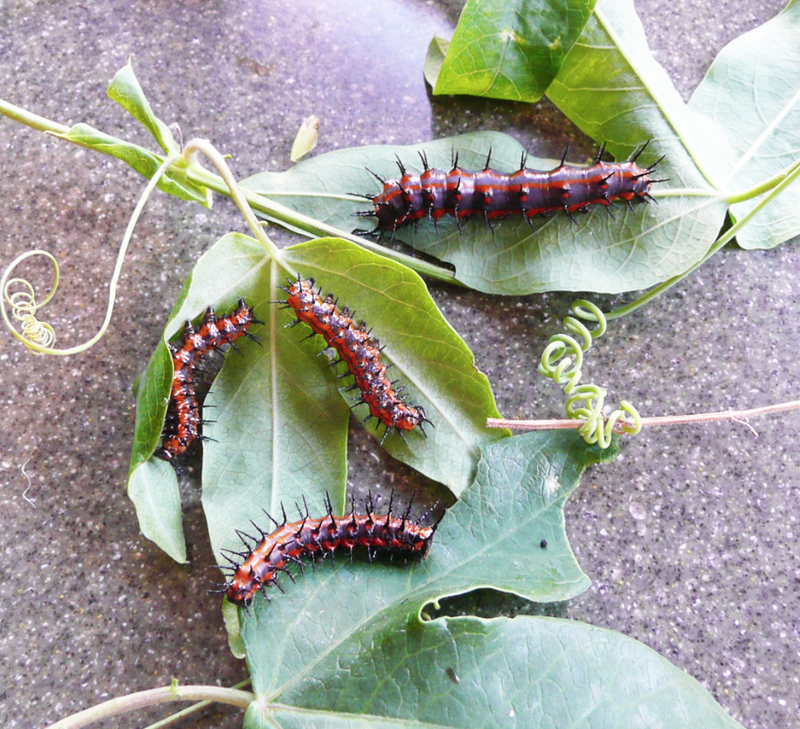 The blame has been laid on herbicides which reduce the food source (milkweed) of the monarch larvae, on genetically modified organisms, on the destruction of forests in Mexico where the butterflies hibernate, and on droughts and wildfires in critical parts of the country thru which the monarchs pass. 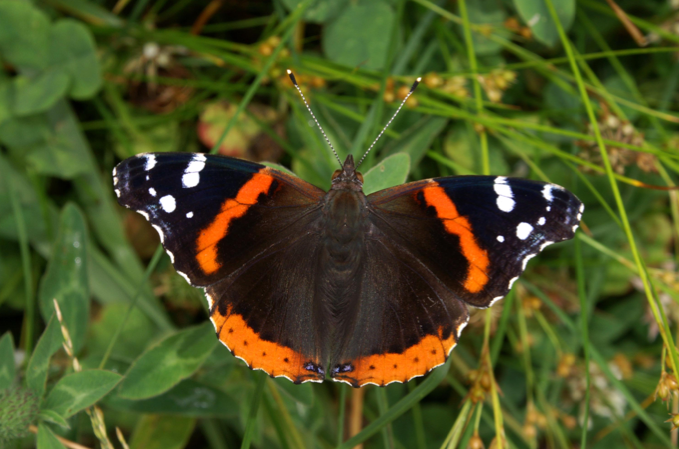 The naturalist, David Attenborough, states that he used to see buddleia bushes covered with red admiral butterflies, but now he sees practically none. 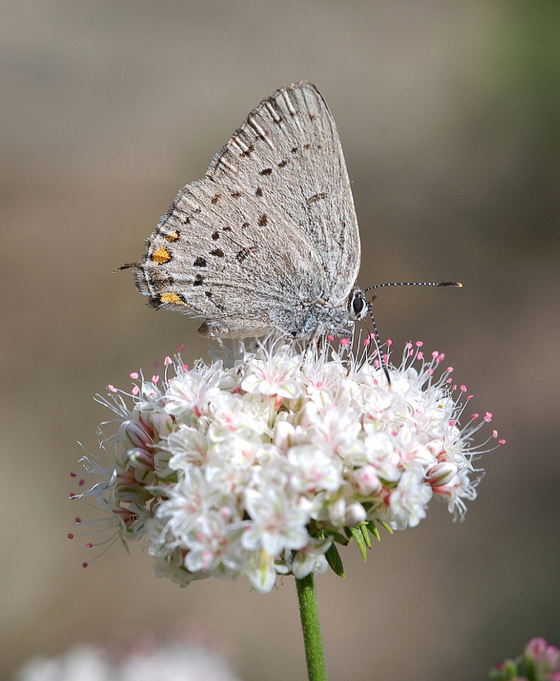 Butterflies are widely accepted as good indicators of ecosystem health. For that reason, the overall decline in butterfly populations is an alarming result with important implications for other insects and biodiversity. And butterflies are only part of the picture. The bees, birds, bats and beetles are equally important to maintain healthy ecosystems and ecological balance. Messing with an eco- system is a risky business; unfortunately the nega- tive, potentially disastrous effects are not likely to be convincingly obvious for several years, or too late. 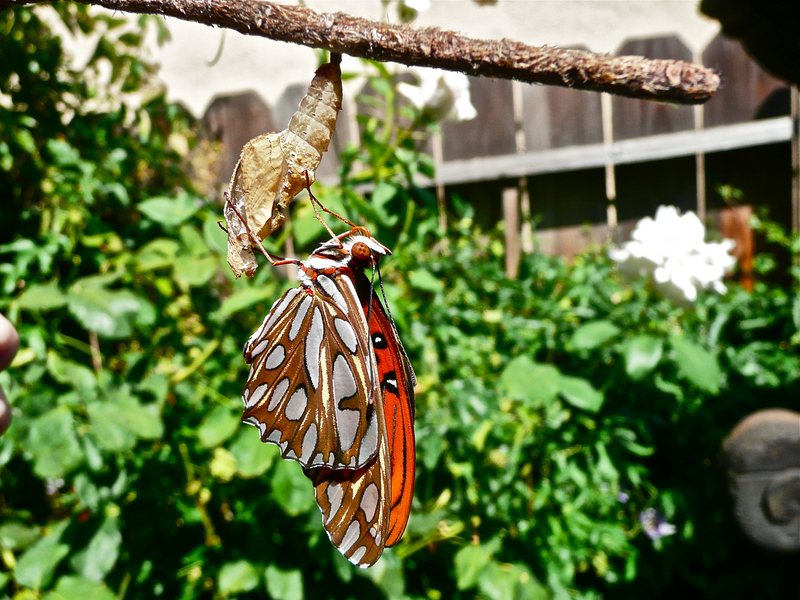 Fortunately, many people are becoming aware of the implications of the loss of our native butterflies, and are taking steps to encourage more of them back into our environment by planting California native plants. Here is a list of butterflies that have been observed and documented several years ago by Ranger Dawn Soles at Sycamore Grove Park. 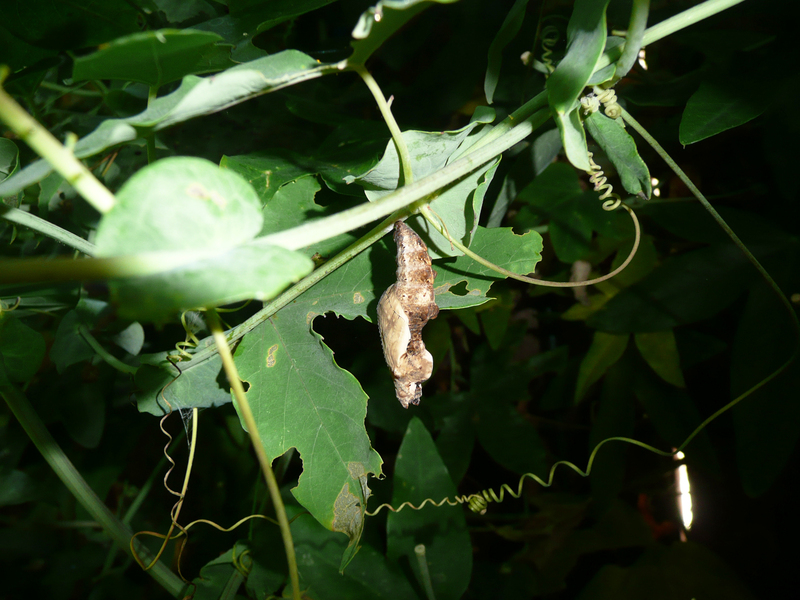 To her list I have added the most common host plants used by their larvae and adults; plants that can be found at the Granada Native Garden are in italics. Artemesia, aster, goldenrod, milkweed, vetch, Prunella Anise swallowtail (Papillo zelicaon) Members of the carrot family (parsley, dill, fennel). Cabbage White (Pieris rapae or Artogeia rapae) Members of the cabbage family; crucifers, nastursiums, horseradish; a great variety of flowers. California Hairstreak (Satyrium californicum) Serviceberry, Prunus virginiana, Cercocarpus, California lilac, oak, willow, buckwheat. California Sister (Adelpha bredowii) Oaks, buckeye, toyon Checkered White (Pontia protodice) Members of the mustard family; composites, legumes, alfalfa “and almost everything else”. Common Buckeye (Junonia coenia) Plantain, monkey flower, rabbitbrush, sage, coyote brush. Coronis Fritillary (Speyeria coronis) Rabbitbrush, Viola, buckeye, aster, goldenrod, thistle Creamy Marblewing (Euchloe ausonides) Members of the mustard family (this butterfly is rare and apparently close to extinction because of loss of habitat and its native host plant, Guillenia lasiophylla). Fiery skipper (Hylephila phyleus) Nectar from flowers of a variety of plants including sweet pepperbush, swamp milk- weed, asters and thistles. Gray Hairstreak (Strymon melinus) Flowers and fruits from an almost endless variety of plants, most often from pea and mallow families, including beans and clovers. Great Copper (Lycaena xanthoides) Nectar of various flowers; several dock species. Great Purple Hairstreak (Atlides halesus) Mistletoe growing on native oaks, sycamores and cottonwoods. Lorquins admiral (Limenitis lorquini) Willow, rabbitbrush Lupine Blue (Plebejus lupinus) Several species of buckwheat. Flower nectar. Mylitta Crescent (Phyciodes mylitta) Many flowers, including thistles, yerba santa, heliotrope, rabbitbrush Orange Sulfur (Colias eurytheme) Members of the pea family. Painted Lady (Vanessa cardui) Asteraceae, rabbitbrush, thistles, mallows, numerous others. Pale swallowtail (Papillo eurymedon) Members of the Ceanothus family, including California lilac, buckbrush, mountain balm, red alder, bitter cherry, serviceberry, coffeeberry, California buckeye, yerba santa, and wallflower. Sara Orangetip (Anthocharis sara) Members of the mustard family. 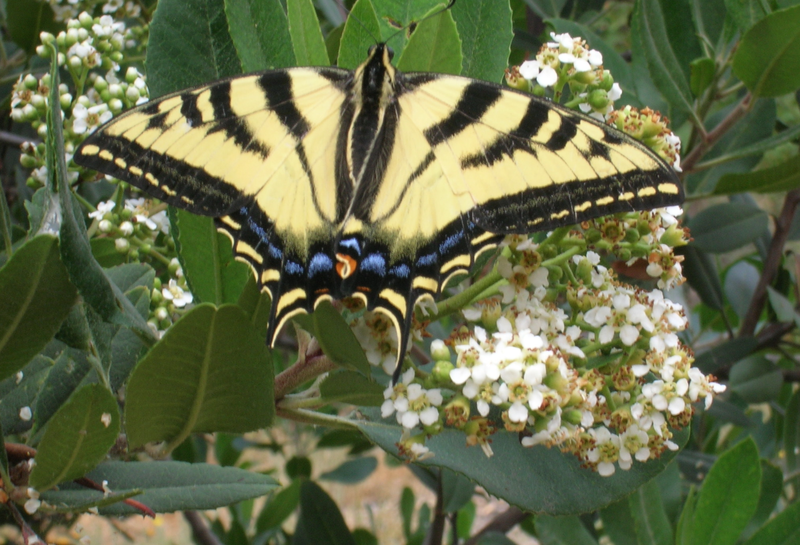 Western tiger swallowtail (Papillo rutulus) Leaves of a variety of trees and shrubs; commonly cottonwood, willow, quaking aspen, yerba santa, California buckeye, milkweed, dogbane, lilies, coyote mint, lilac (Syringa), buddleia, sycamore, ash, cherry and other stone fruits, willow, privet, sweet gum. More Help Planting for Pollinators A very useful field guide for identifying local butterflies and selecting their host plants, as well as information about the natural history of the butterflies, is the Field Guide to Butterflies of the San Francisco Bay and Sacramento Valley Regions, by Arthur M. Shapiro and Timothy D. Manolis. Dr. Shapiro is an instructor at the University of California, Davis. He also has a useful website, “Art Shapiro’s Butterfly Site”, at butterfly.ucdavis.edu/crew/amshapiro. 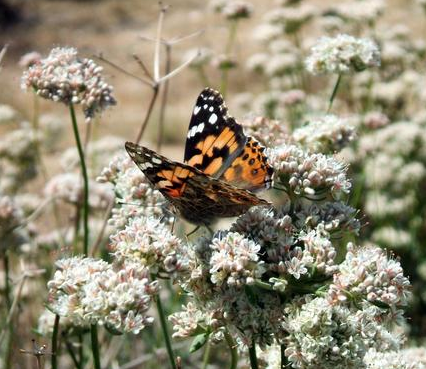 The Pollinator Partnership Guide, accessible at http://www.pollinator.org/guides.htm, extensively lists butterflies and host plants specific for different regions of the State of California. Kerry hard at work at the GNG! Many thanks to Ranger Dawn Soles for her list of local butterflies, and to Kerry Johnson for her photos of the gulf fritillary and the monarch feeding on buddleia! And thanks to the Rotary Club of Livermore for gifting the GNG with a grant to replace vandalized and weathered acrylic faces on our informational panels! 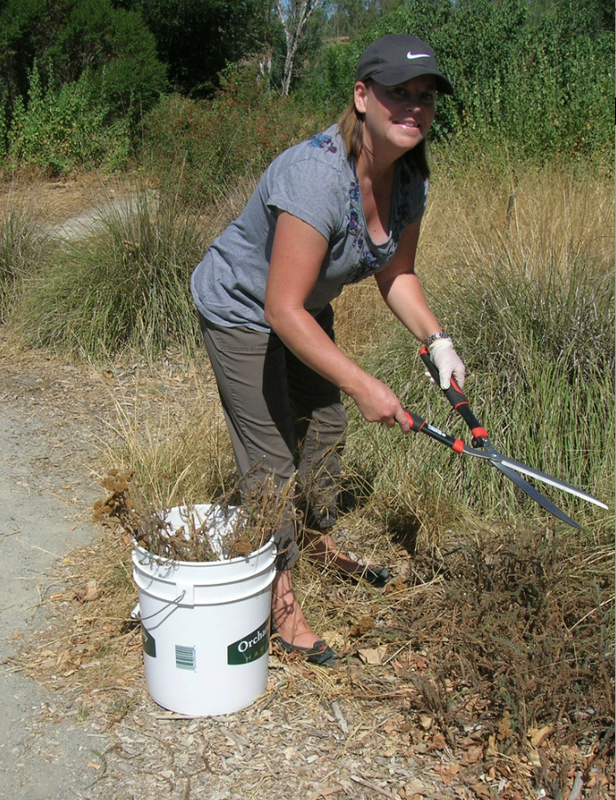 Finally, many thanks to Jacquie and Alden Lane Nursery for helping us to replace many of the original plantings and to expand our display of native California plants!